The Club has always taken to heart in sharing with those who are not as fortunate; there will not be a better and more meaningful time than sharing the joy during the festive season of Christmas!! With this in mind, the Club organised a Christmas party for over 100 students of Kei Shun Special School, at the Tai Po Waterfront Park on 6 December (Sunday). In addition to being just a usual fun-filled family event, the Club took the opportunity to raise funds for the school to equip its new Multi-Sensory Playroom which will help Kei Shun’s students to improve their muscle coordination, balance, senses, concentration and social skills by stimulating their various senses (vision, hearing, touch, smell, taste etc.) through a variety of different games under the guidance of expert therapists. The highlight of the party continued to be the traditional Porsche ride for students and, in some cases, their parents, driven by the Club’s members. One ride around the industrial park was just not enough to satisfy the students’ enthusiasm. Many of them queued up again; some were so keen that they were willing to wait longer in the queue in order to capture the opportunity to ride in their favourite Porsches!! 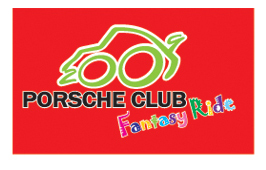 In addition to the Porsche rides, students had tremendous fun playing the inflatable gym, taking Polaroid pictures with the Porsches, engaging in cartoon caricature drawings, receiving balloons twisted in interesting objects of their choices, enjoying magic performances by a clown and receiving attractive presents from Santa Claus during lunch. Many of the Club’s members were extremely supportive of the event; they brought along their families, including, their children who enjoyed the Christmas Party as much, if not more, as the Kei Shun students, as can be seen from the bright and cheerful smiles on their faces. Finally, a heart felt appreciation is extended to those who had generously donated Porsche related souvenirs for the Club to sell on that day and to all those members who had generously donated. The Club is proud to announce that over HK$200,000 has been raised for Kei Shun at the Christmas Party! Please click "here" to see pictures of all the happy faces!